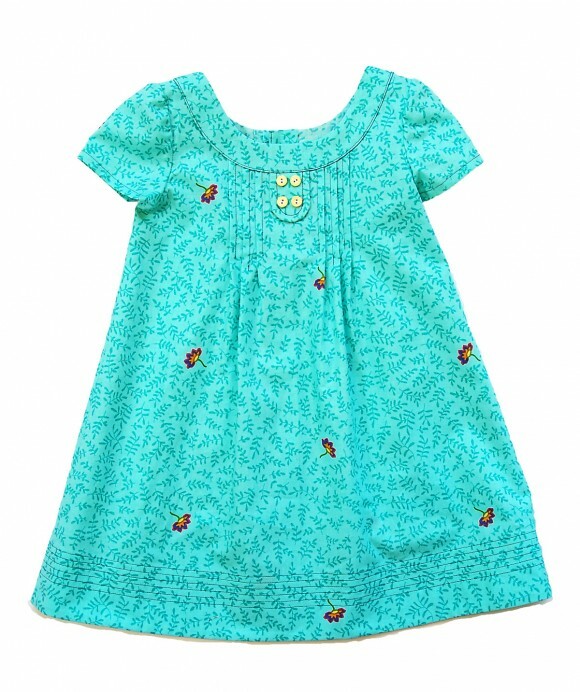 For this week’s Digital Release Thursday, we have one of our best selling patterns ever, the Family Reunion Dress. This charming, classic dress pattern features pintucked pleats at the front and back, a choice of button tab or ruffle embellishment at the front, and a sweet neckline. Gently gathered short sleeves, our signature hem facing with topstitched detail, and buttons up the back complete the look. The dress can also be shortened into a blouse. The Family Reunion Dress pattern is now available as a digital release in the shop. I must say how easy your PDF’S are to put together! I just bought this pattern a few weeks ago! So wish it had been in PDF form. But I’ve made a dress and a top from this pattern and LOVE IT!! So glad I bought it no matter what format!